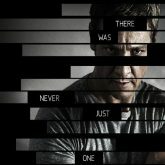 The Bourne Legacy is the fourth film in the series and it takes a completely new approach when compared with other series. While Batman and Spider-Man started over, and other movies found ways to continue, The Bourne Legacy is presenting a parallel story that is focused around agent Aaron Cross. The lead actor is Jeremy Renner and there is no Bourne character, which was portrayed by Matt Damon in the past three movies. Legacy was co-written and directed by Tony Gilroy and the movie is currently drawing in mixed movie critics reviews. “[The Bourne Legacy] is complex, unexpected and dazzling, alternating relentless tension with resonant emotional moments. Only time will tell if the audience loves the new super spy portrayed by Renner – and sales are not bad at the moment. Some major retailers are already taking pre-orders for the DVD. Have you seen the movie? Add your own review in the comments section below!